So, ten days after Crisis in Antwerp and I can finally try to catch up with life (so expect a few more posts in coming days). 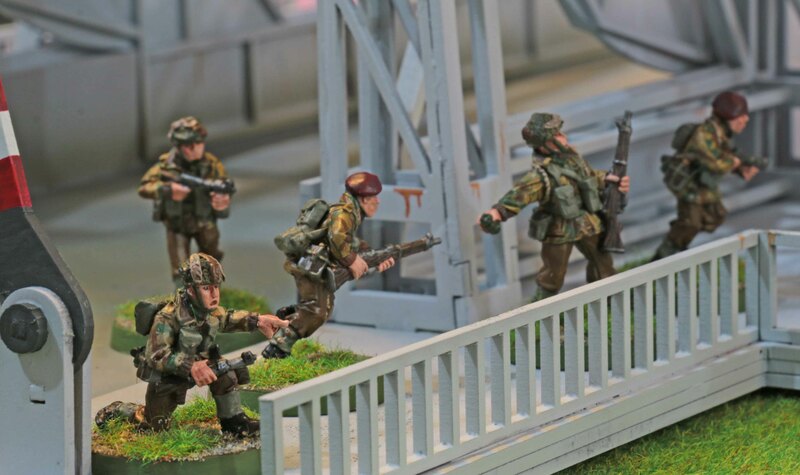 Up first is a troop of Stuart Honeys for WWII. 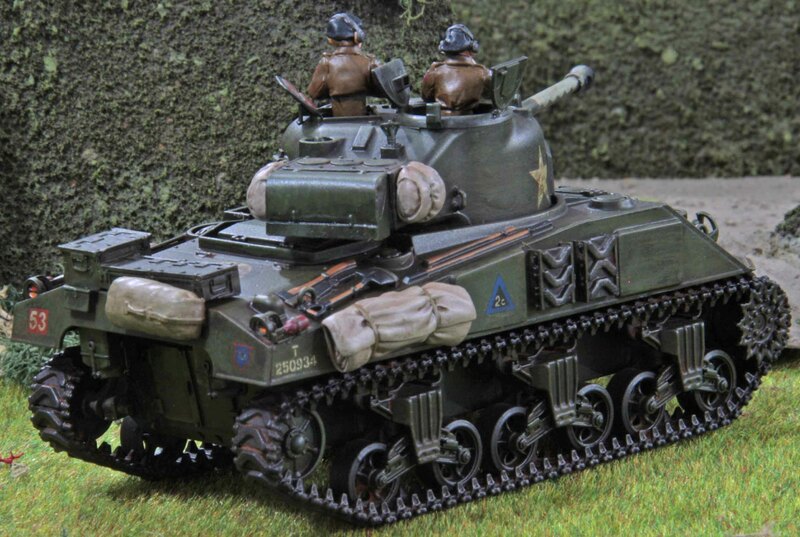 Just like the Shermans I did a couple of months ago, these Stuarts carry the markings of Irish Guards. 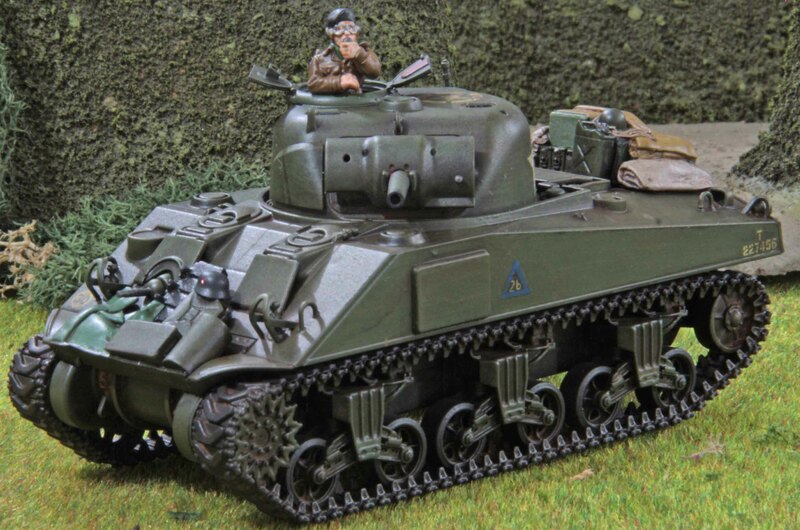 Since the Shermans will be my strongest British tank force, it made the most sense, to depict the Stuarts as being from the same unit. 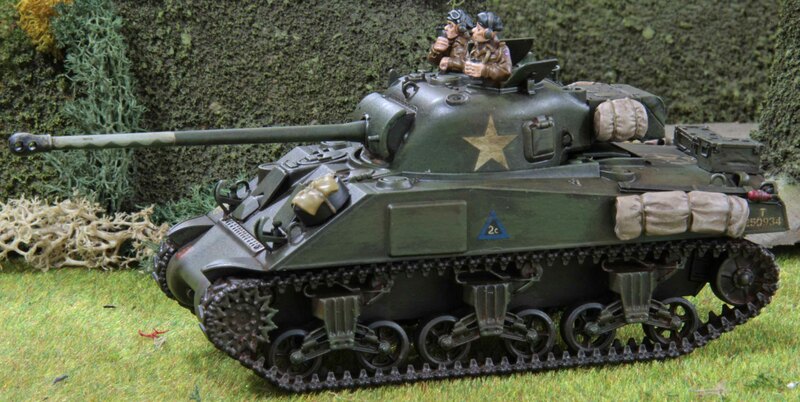 The models used are M5A1 Stuarts from Company B which I bought for this purpose about a decade ago! 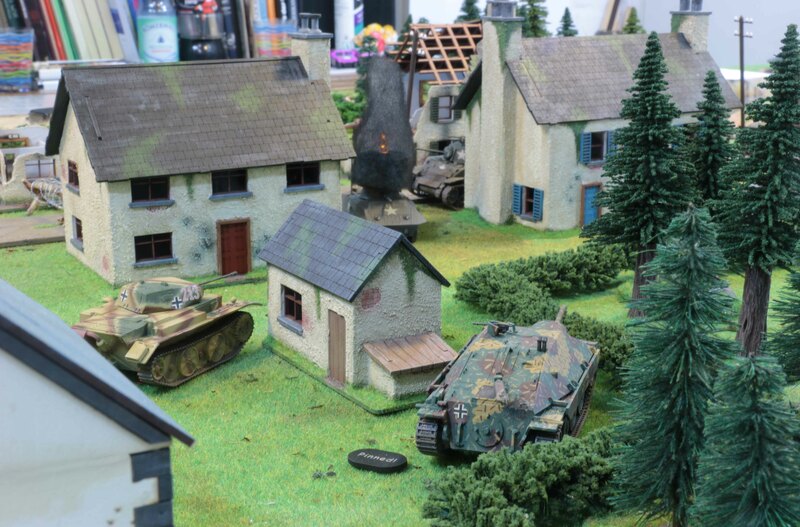 The tanker is from Warlord Games. Since the Company B models usually do not come with open turret hatched, i had to drill and cut this one open and build a replacement hatch from plasticard. 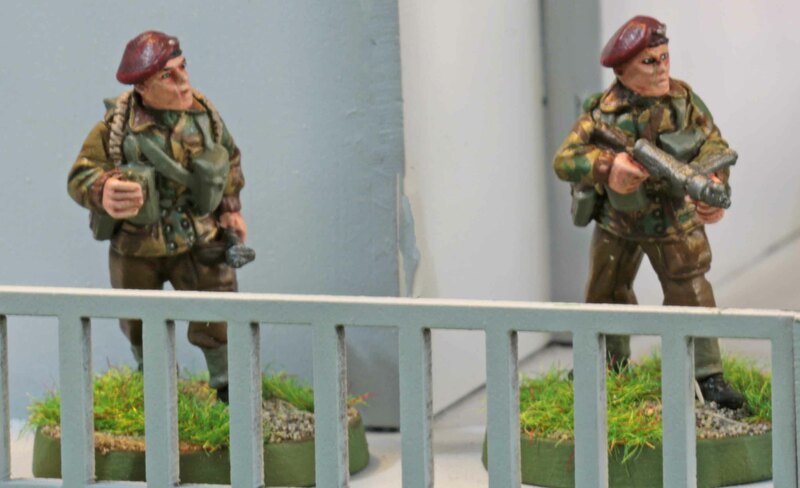 It is pretty hard to find definitive info on which models the Irish Guards actually used. 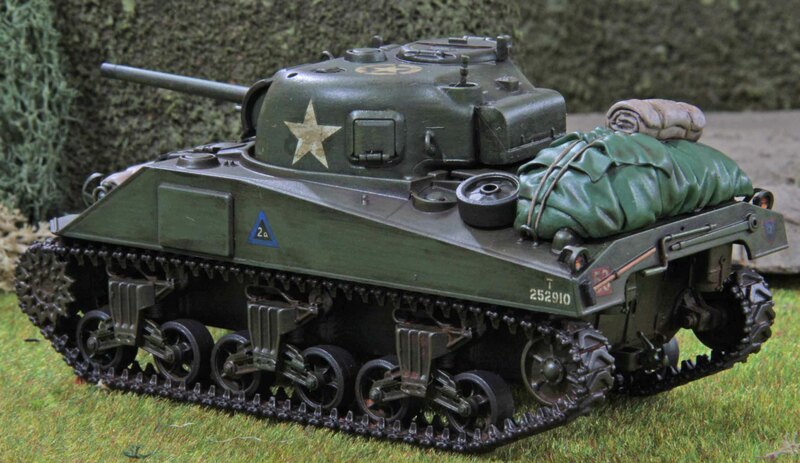 I think it might have been the M5 model, but personally I can live with M5A1s! Why am I calling these Honeys? 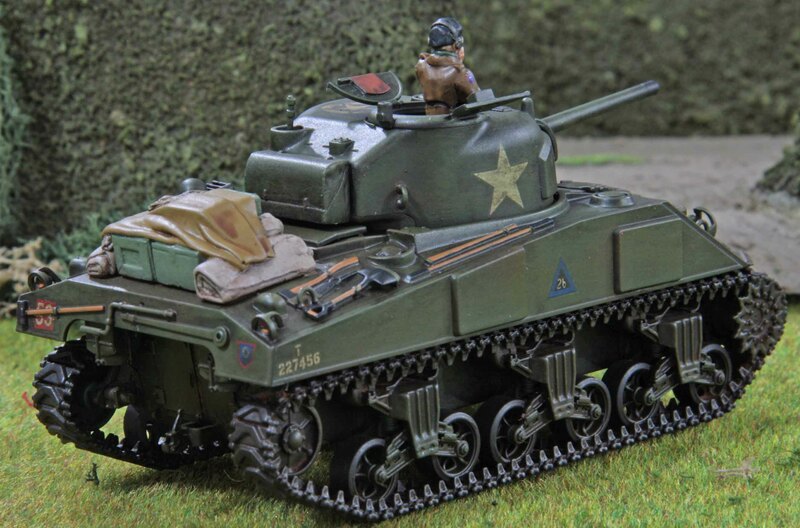 Officially only the M3 models were called Honeys, but most Commonwealth soldiers just stuck with calling the later models Honeys as well, so I am doing the same. 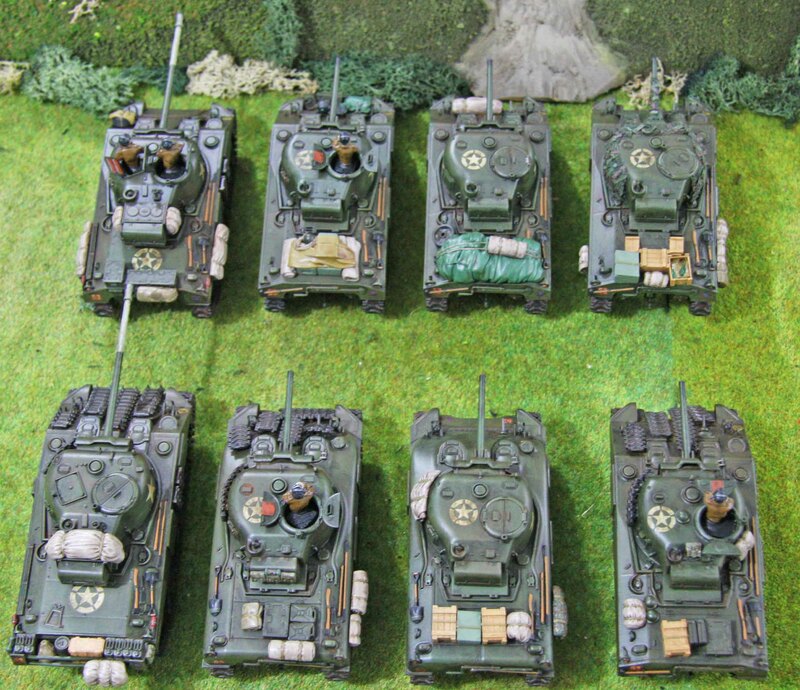 Those who saw the ongoing coverage of my adventures during the Analogue Hobbies Painting Challenge will know, that I narrowly missed adding some eight Shermans to my total. I finally managed to sit down on Tuesday (well I wanted to have some time off painting after the mad rush towards the end and there were social events as well) and finished them. so here they are! 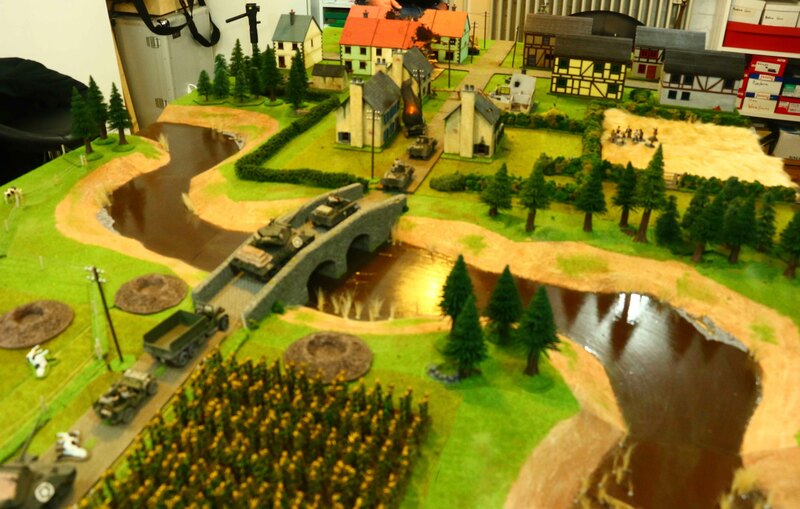 Now you all know (at least I hope so ;-)) that my infantry is based on the South Lancs. 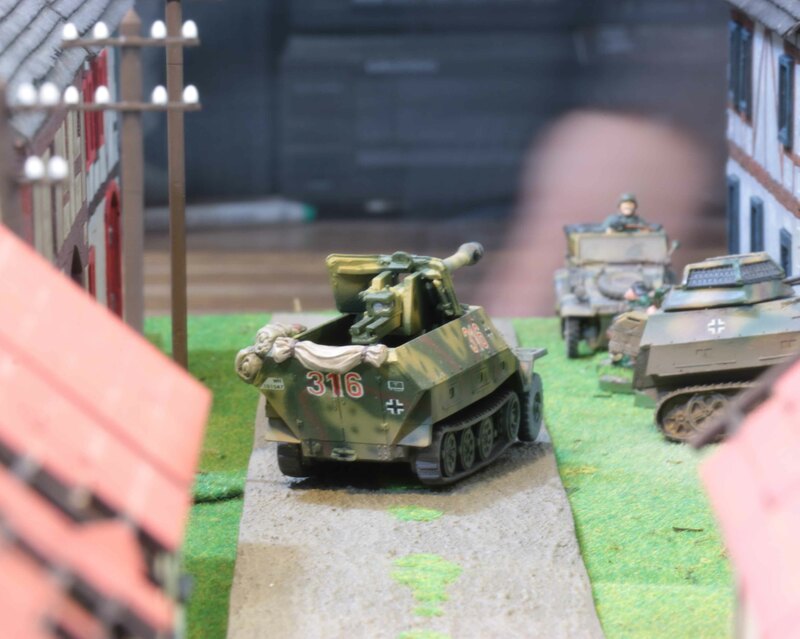 So a some time in February I decided to tackle my Shermans (which I had built some 5+ years ago) and was in for a surprise. 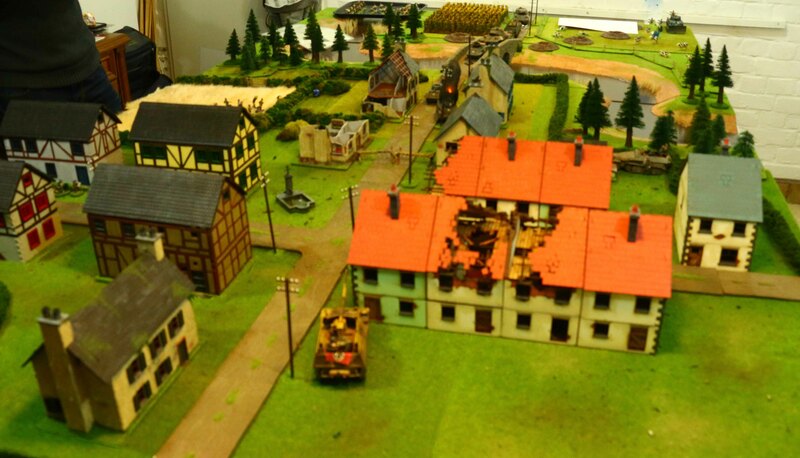 They were supported by 27th Armoured Brigade which was useless for my needs. 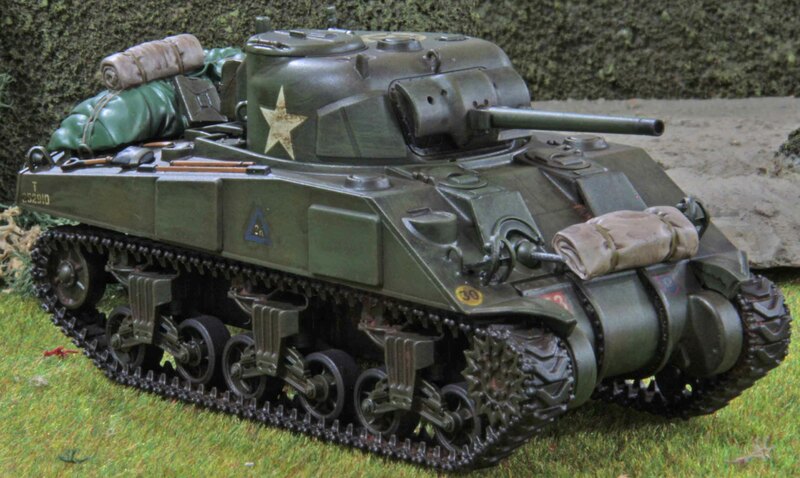 Now they operated mainly Duplex Drive Shermans and no Firefly. 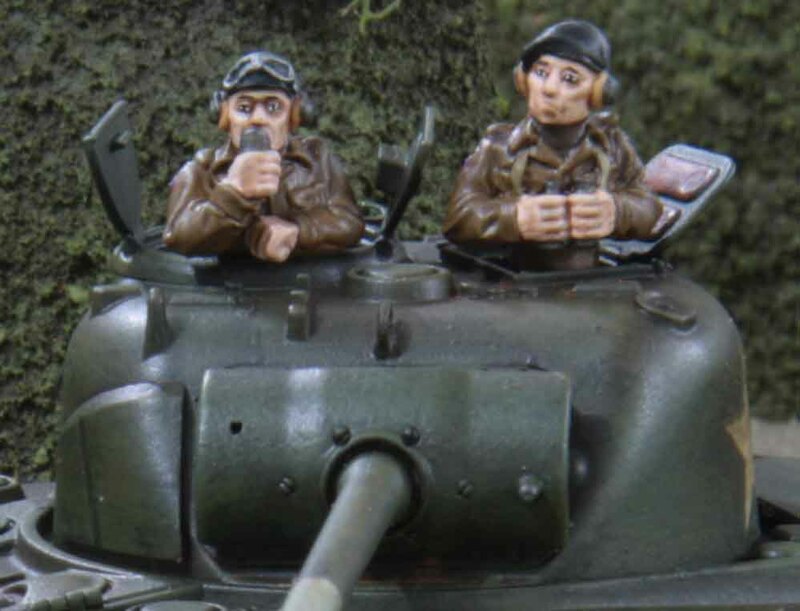 Another problem with them was, that they got disbanded and their men and tanks got distributed to other units in the summer of 1944, so there was not much mileage to be had from them. So I looked for another unit and one that would give me mileage. 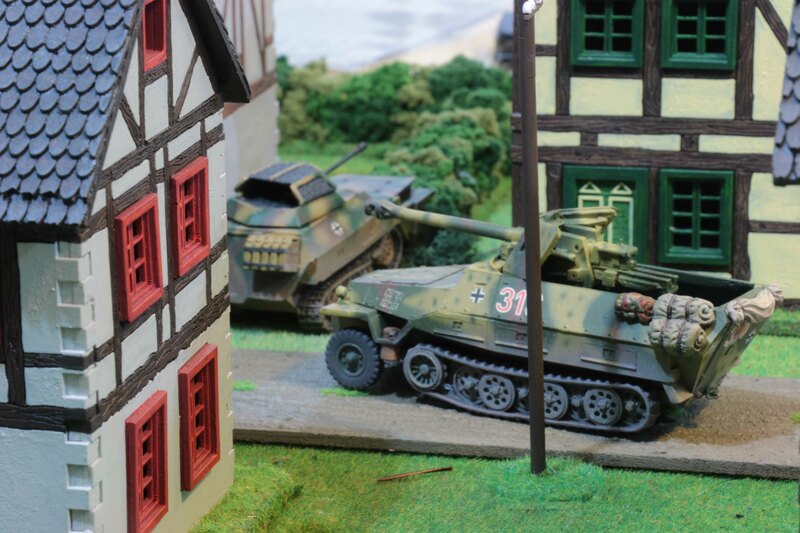 So an obvious choice seemed to be the Guards Armoured Division. 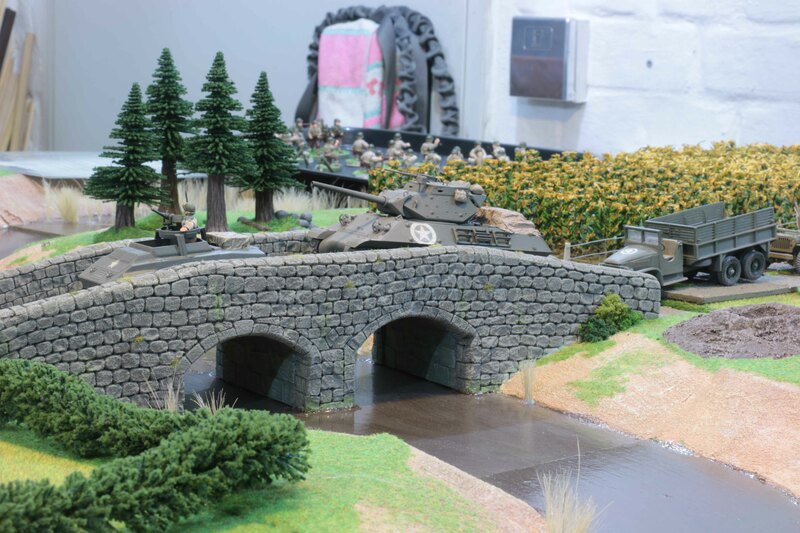 They saw their fair share of fighting all through the war and obviously there is their big role in Market Garden. And Market Garden also dictated my choice of sub-unit since these are the Irish Guards. 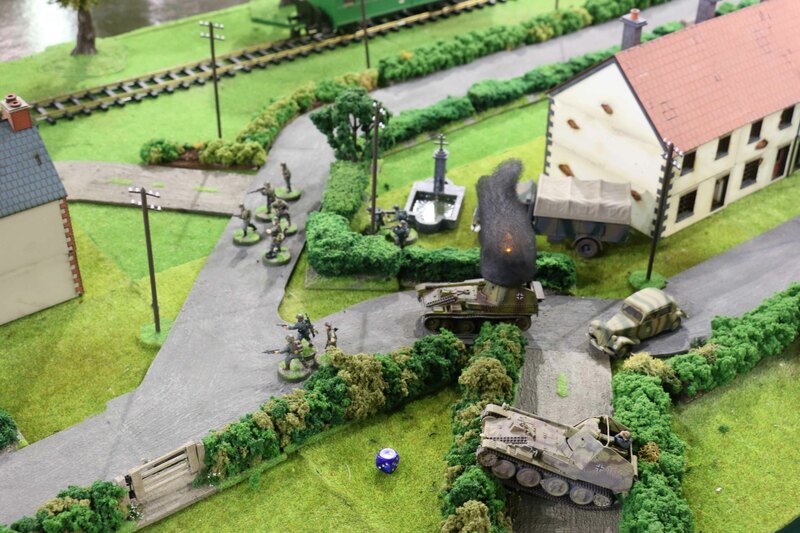 Why… well they were in lead when the tanks started rolling so they seemed like a natural choice. Also this will mean, that I will have a unit from all four countries that make up the United Kingdom in my British WWII forces in the end. But this also gave me some problems. 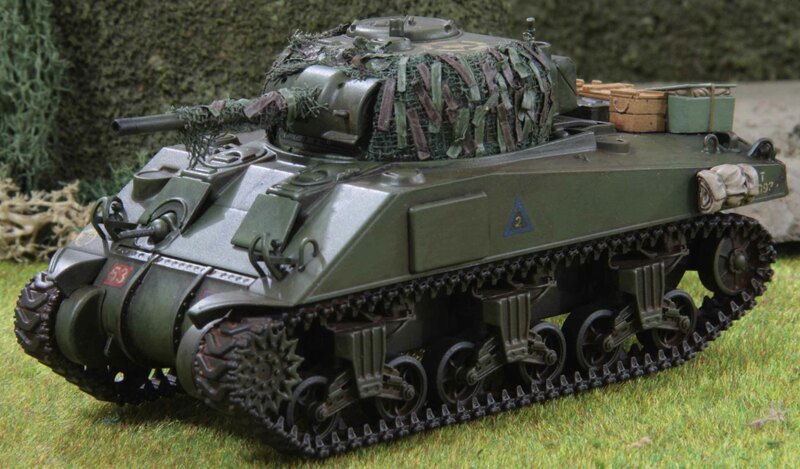 The Irish Guards actually used Sherman V models (aka M4A4) while these are M4 models. As I said, I build these more than half a decade ago and stuffed them with stowage, so I was in no mood to go and get myself different models really, so these will have to do and I hope I can be forgiven! The other problem was decals. I thought I had enough for two troops of Shermans, but I did not, so some had to be ordered. Easy enough since Dom´s Decals had almost all I needed. 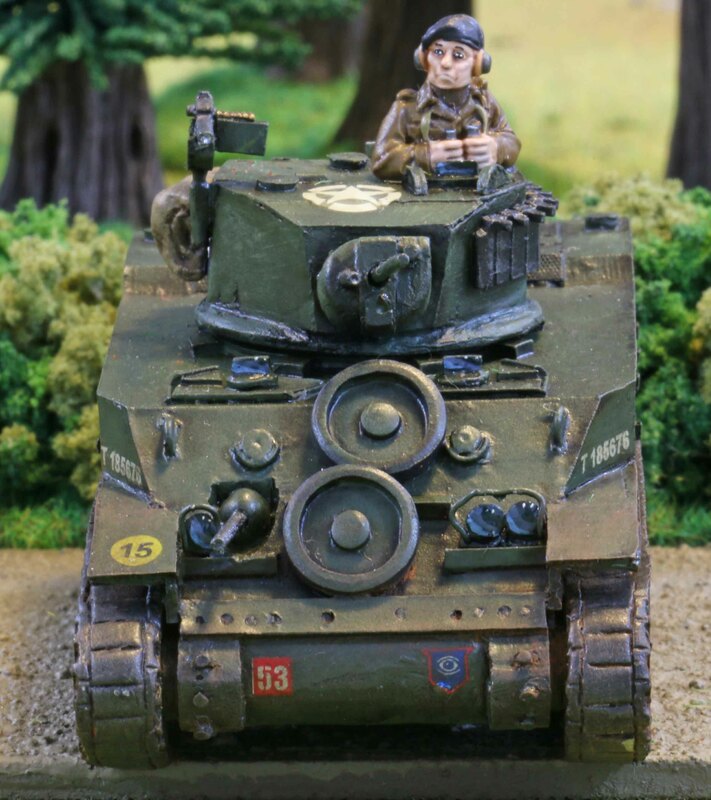 [If you need some for your 1:48th or 1:56th scale British tanks go and drop by Dom´s online shop since he has a nice selection that is getting far too little love from customers as far as I know!] Why almost… well the Guards used to fill their tactical markings in black. After some eMailing around, I found someone to do me custom blue tactical markings filled with black. Why blue? Blue is the color for the junior regiment in a Division, which the Irish Guards were. In this case I picked the triangle to show that these tanks belong to A Squadron. 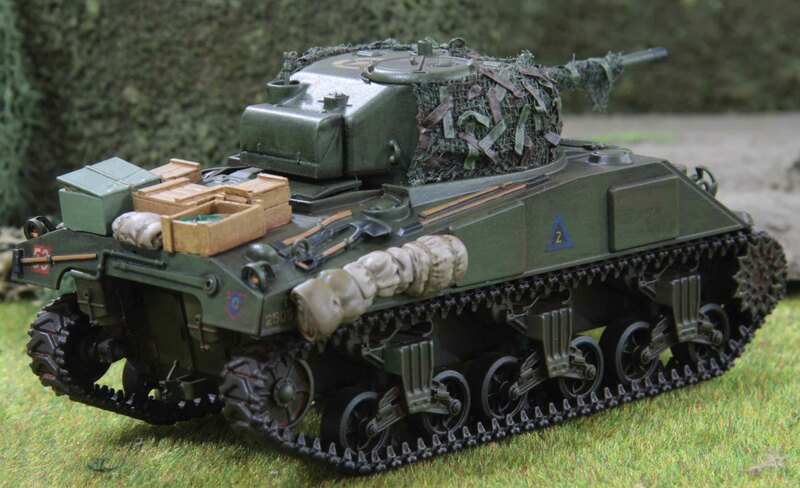 While I found no photographic evidence, that the Irish Guards painted the tank number into the markings like some units did, I still did so (freehand) to make sure the tanks could be distinguished on the tabletop. 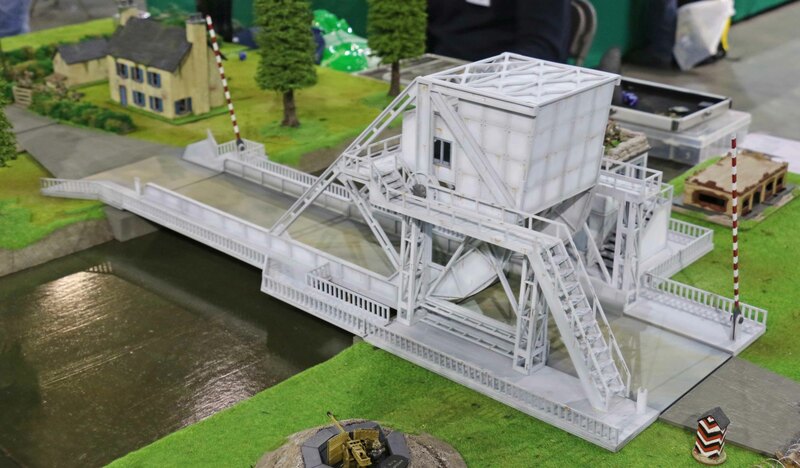 So on to the models itself. 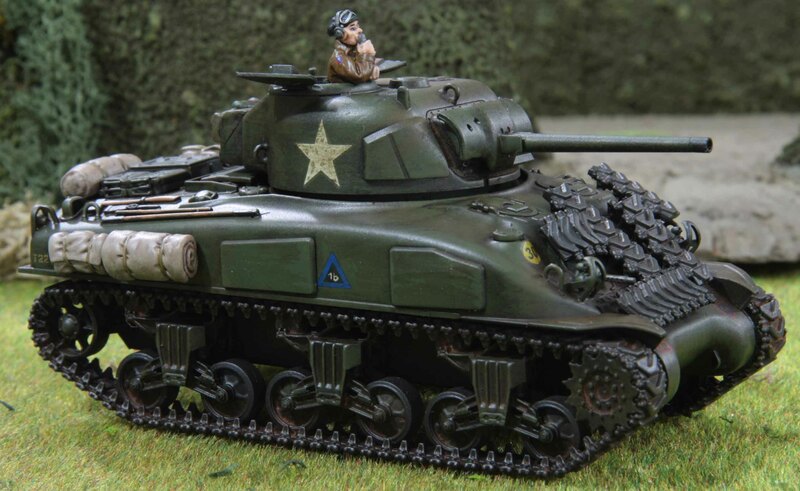 All are 1:48th scale Tamiya models, with the exception of the troops leader for 1 troop, which is a Hobby Boss. 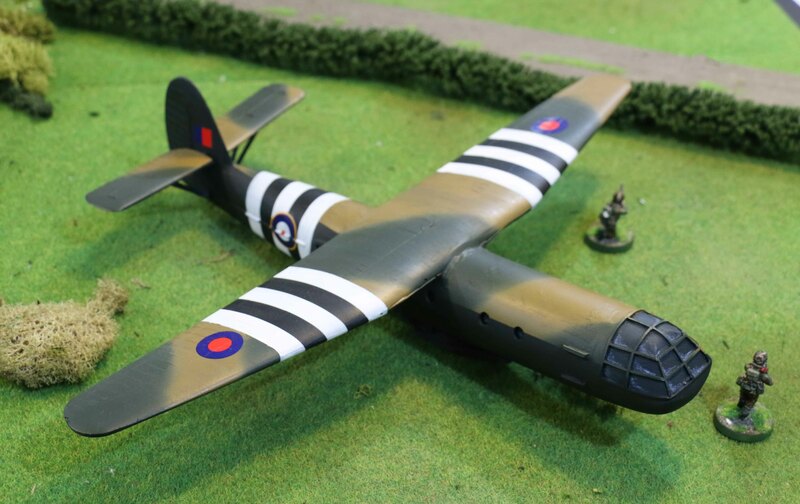 They all come with a wide selection of stowage from at least three different aftermarket companies, Tamiya, Hobby Boss and some scratch build. 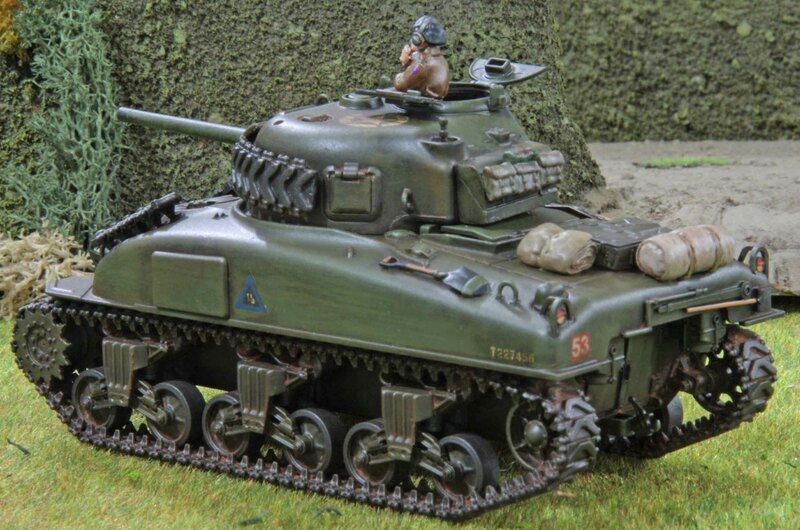 The stowage boxes on the tanks are from Chieftain models. Initially I scratch build them from plasticard, but I was able to talk Crouchie from Chieftain into giving me eight separate boxes. Those who know how long Chieftain has been out of business will know how long these tanks have been sitting around, waiting to be painted! 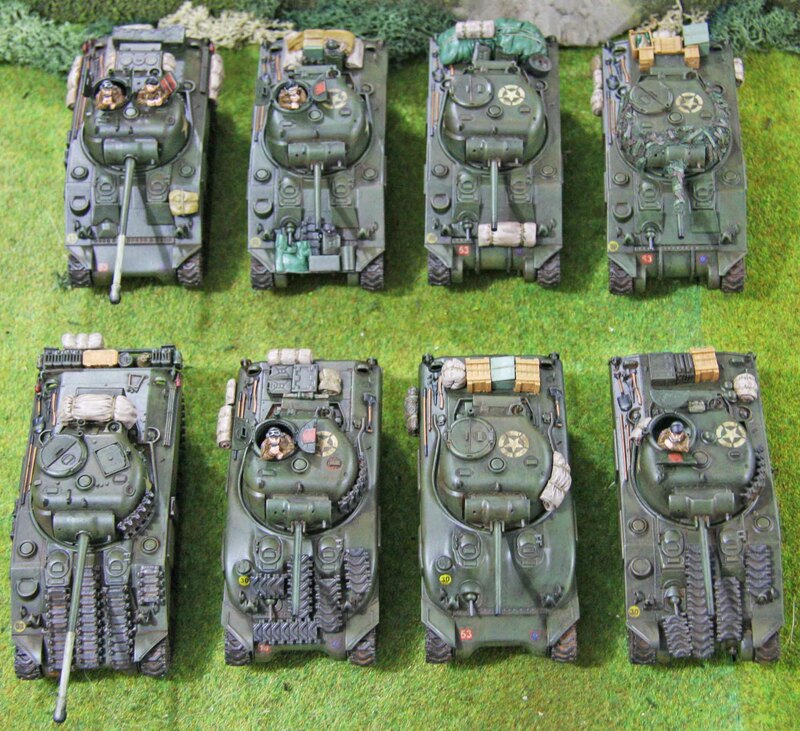 The tankers are by Warlord. 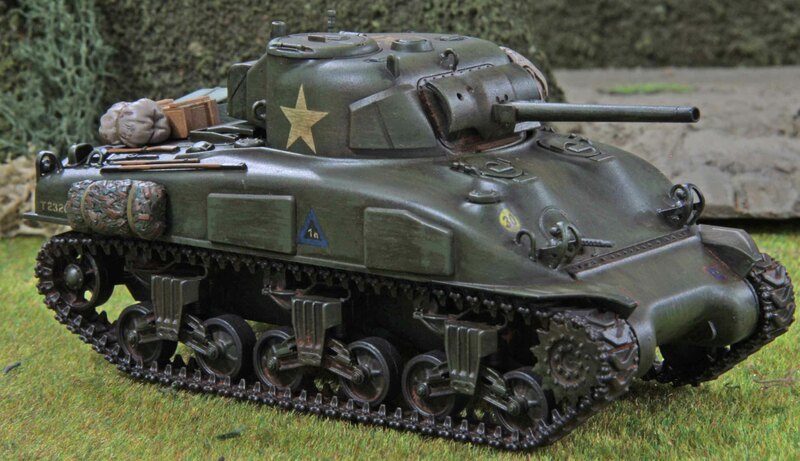 1 Troops comes mostly with additional improvised armor in shape of Sherman tracks welded to the hull and turrets, as can be seen on some contemporary photos. 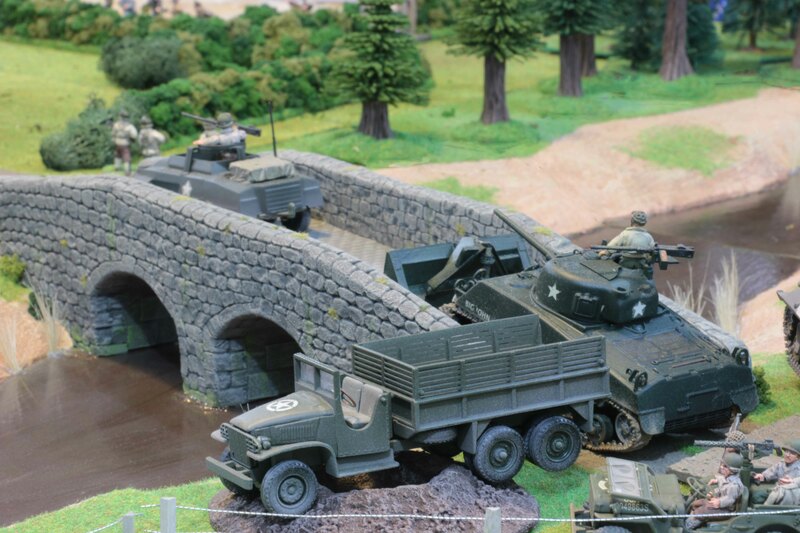 Most of these are by Tamiya as well. 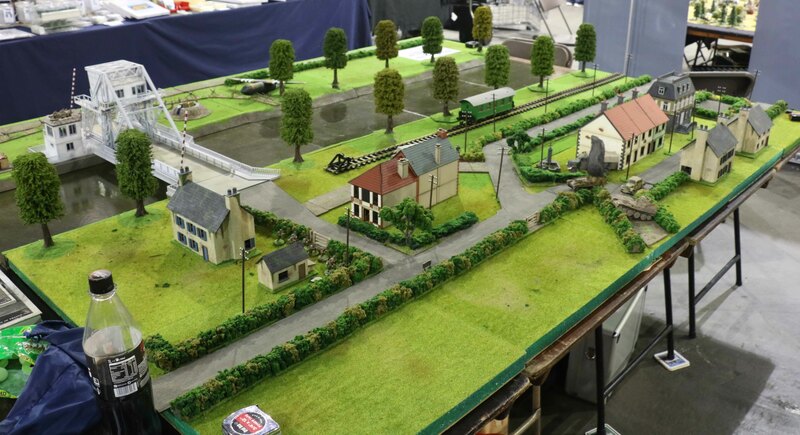 I send the good people at Tamiya Germany an eMail asking for a separate sprue of tracks, which they send me. Although it turned out, at a hilarious price. I think I could have gotten almost a complete kit off eBay for that price. 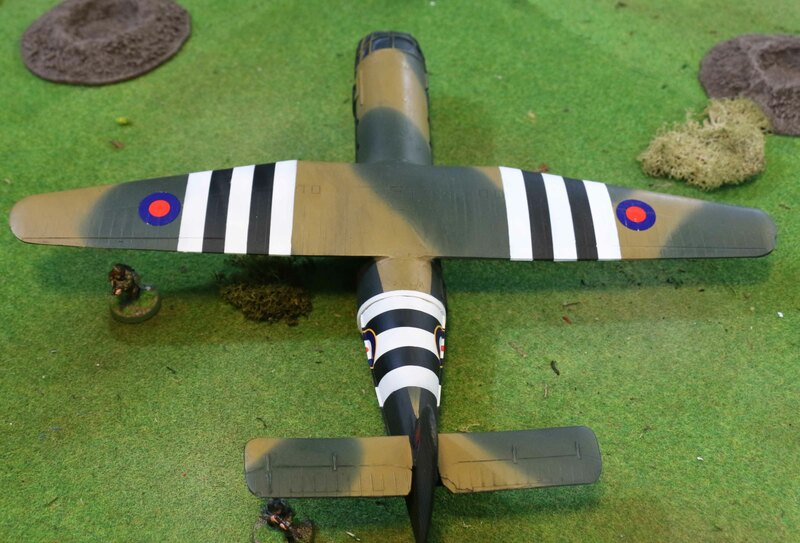 The Firefly got a scratch build stowage rack in the rear. I am really in love with that piece. 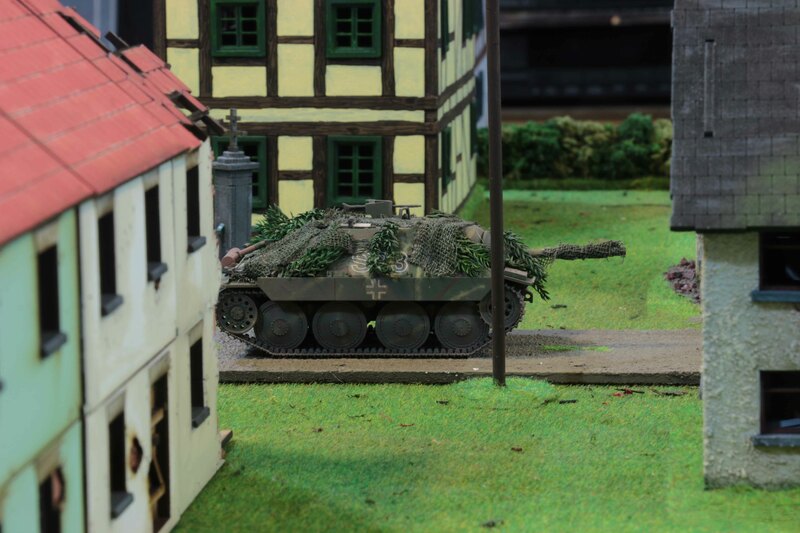 Especially since it makes the tank appear much larger, so it looks like a real beast on the table! Now 2 Troop does without the extra track links for protection. 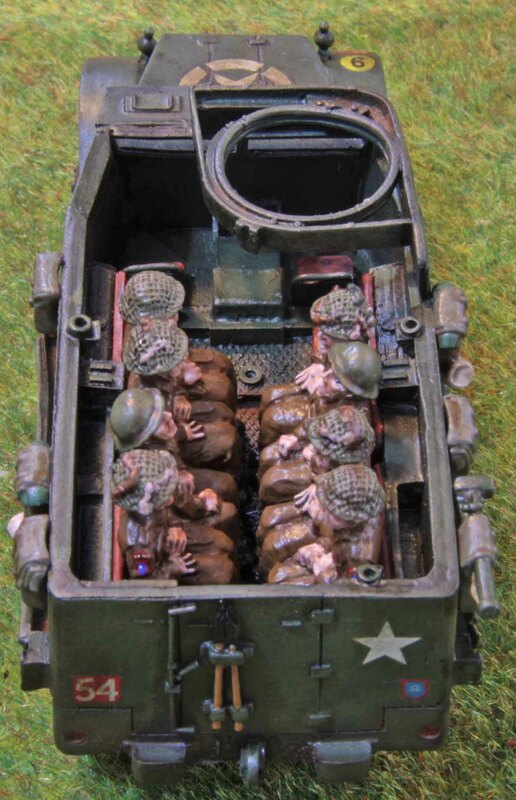 The only extra protection is the hessian tape netting on the troop leaders turret. For ages I had planned to use paper punch outs from my comb binding machine. I glued those on last week and frankly was quiet unhappy with the results. But since time was running out on the Challenge I painted them up anyway and would probably even have kept them. But after time had run out, I decided to go back to it. I glued gauze dyed green over the whole mess, cut some punch outs in half, soaked them in white glue, placed them on the netting, gave them another coat of white glue and painted them. And now I am even happy with it all! So a good thing I ran out of time! And now to leave you with two “aerial” photos to show all the stowage. 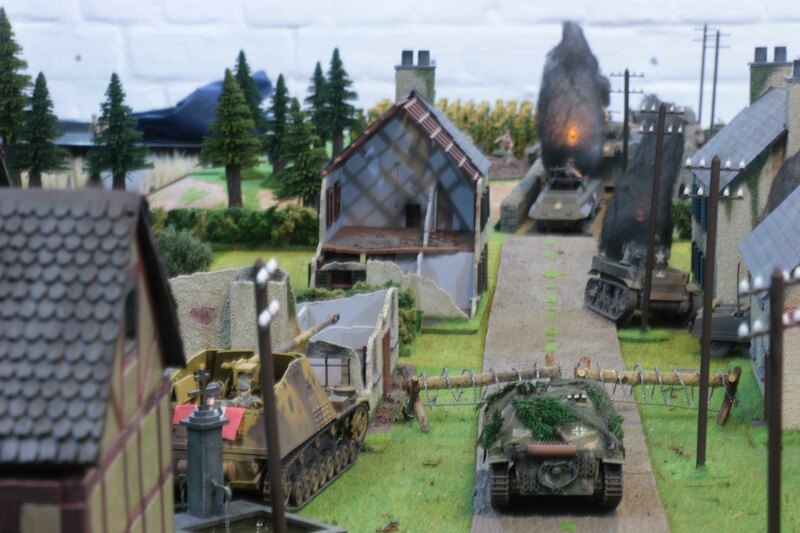 To complete my ever expanding British forces, here are some more rides for my poor bloody infantry. 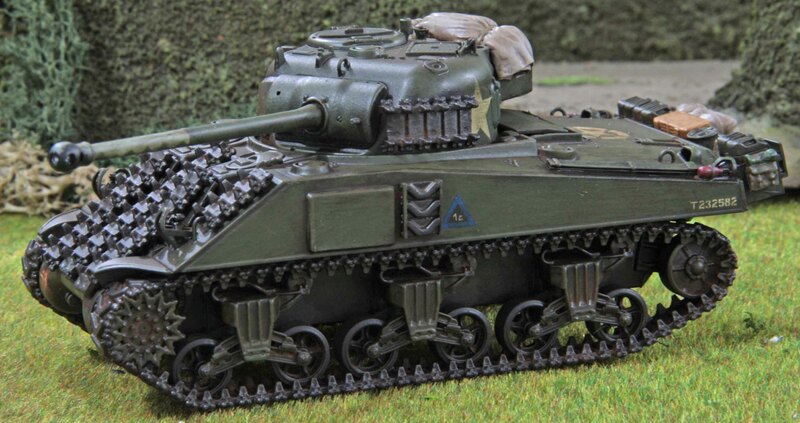 This time something heavier than those Universal Carriers, namely some M5 half-tracks. Now the M5 was created when the usual manufacturers like Autocar, Diamond T and White could not keep up with the demand. Additional models were produced by the International Harvester Company. But since they had different machinery from the others, changes had to be made to the design. 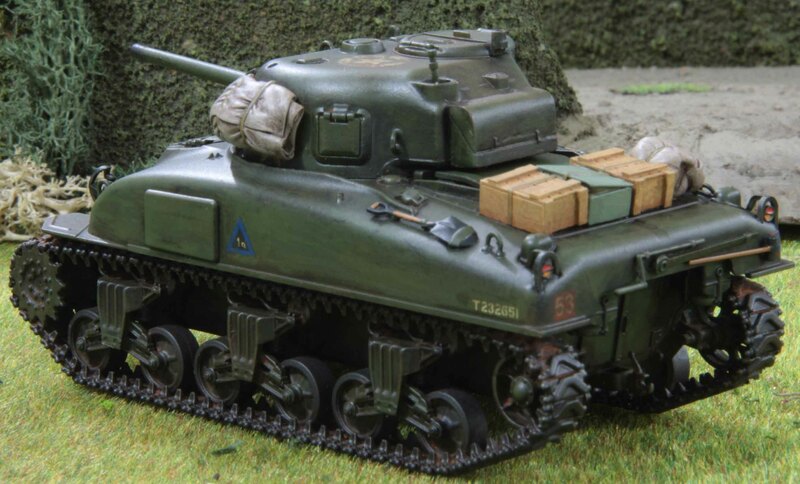 Most of all a different type of steel was used for the armor, which made the vehicle heavier and made the armour was slightly less effective against small AP rounds but reduced the chances of shrapnel. 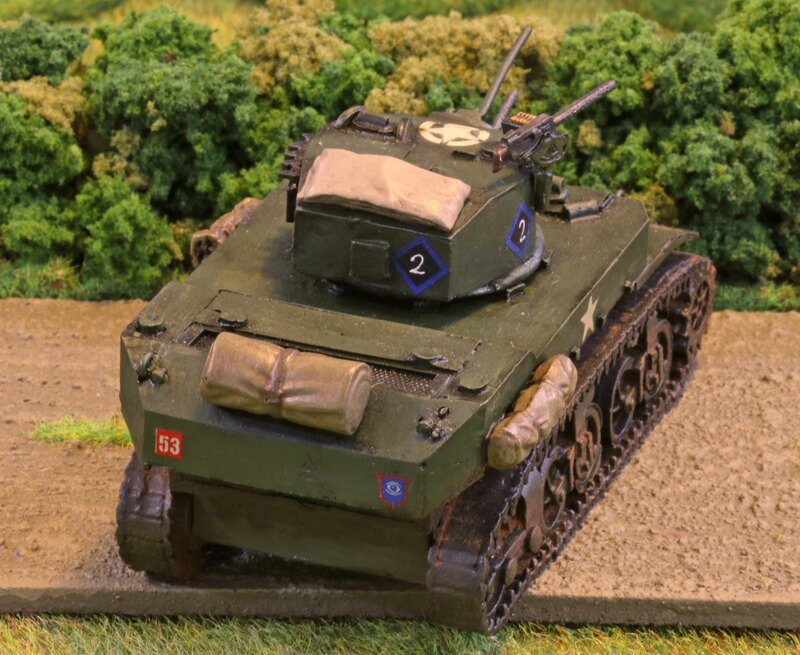 This lead to the use of different axles and a strengthened hull. But the only outward difference between the M5 and M3 models were that the rear corners were rounded, while the mudguards had right angeles ends. Anyway, the US government saw these features as shortcomings and as a result the M5 became an export (lend-ease) version. Which is why I picked it for my Brits. 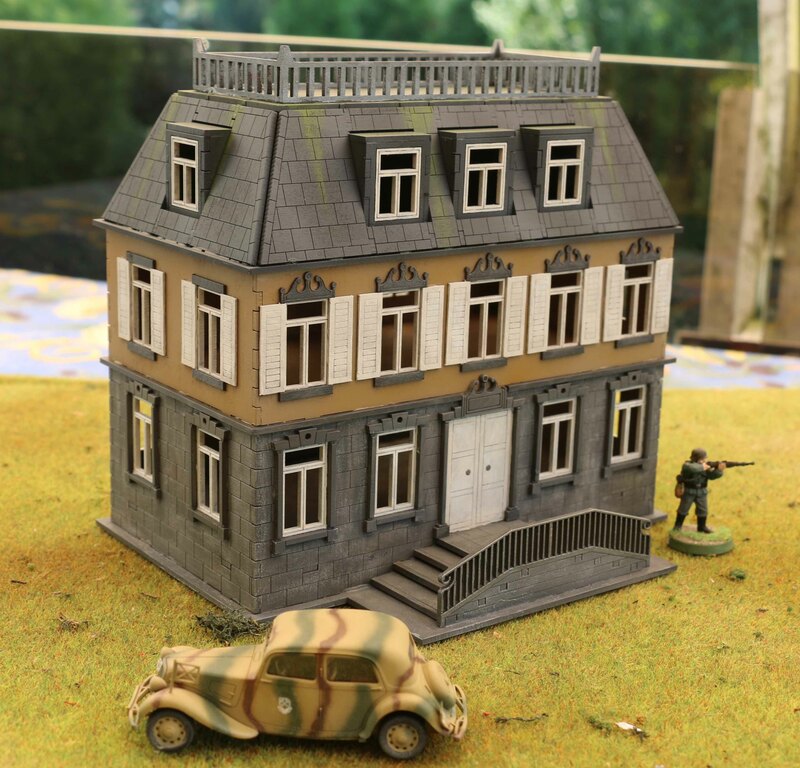 The halftrack model itself is by Warlord (I thought they were now OOP, but last weekend I saw one in their online store again). 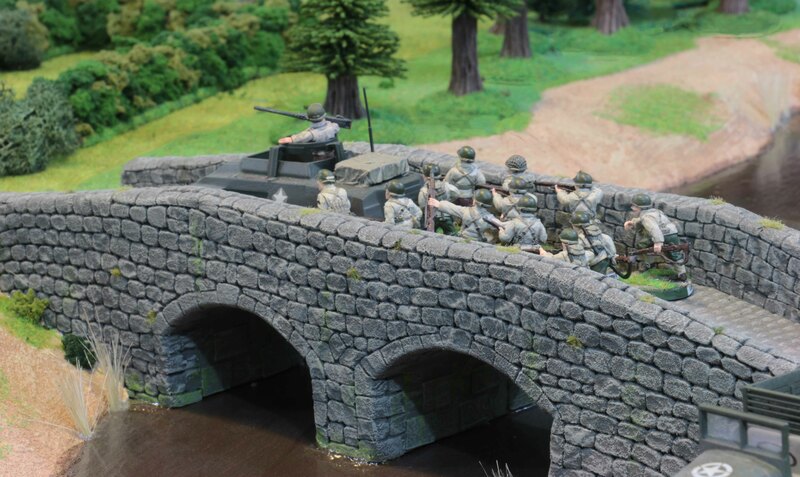 I had initially thought about using Corgi models for my Brits like I did with my Americans, but decided against it on the grounds, that I wanted M5 for them. Plus the good people at Warlord gave me its dimensions before ordering and I found that it was the same size. 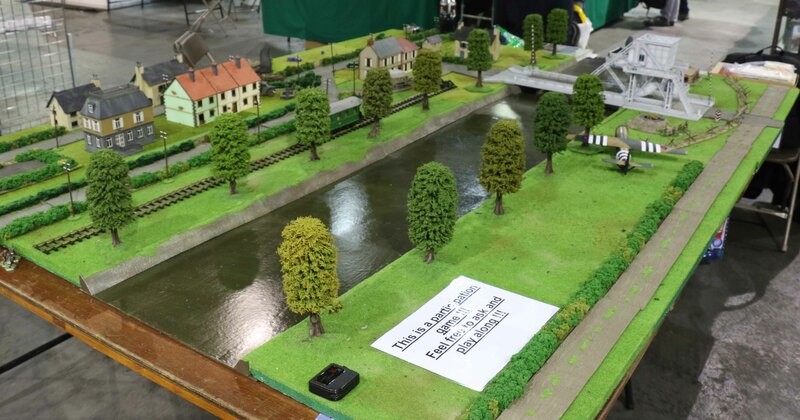 Well that is until the models arrived and I found that it actually was smaller. 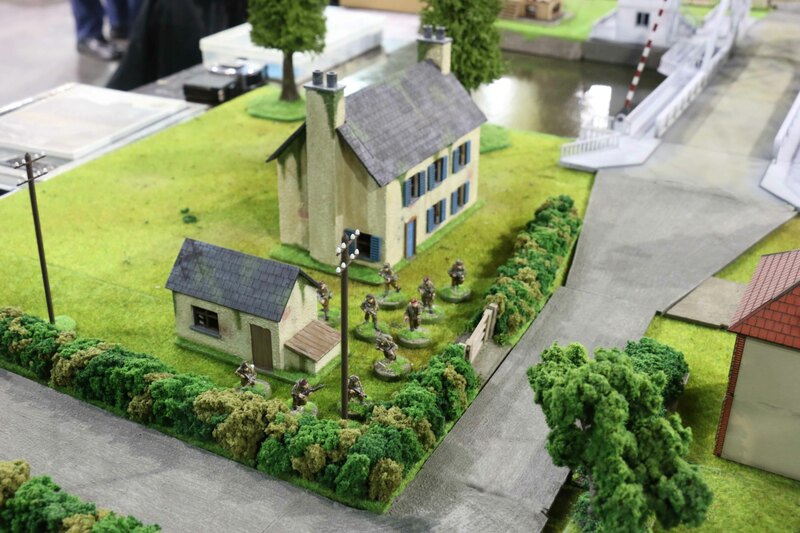 I decided not to care since chances of US and British infantry operating side by side on the tabletop are about the same as finding a snowball in hell. When I finally cleaned the models up this Christmas I regretted that decision, since I spend more than two hours on each of them just cleaning them up. 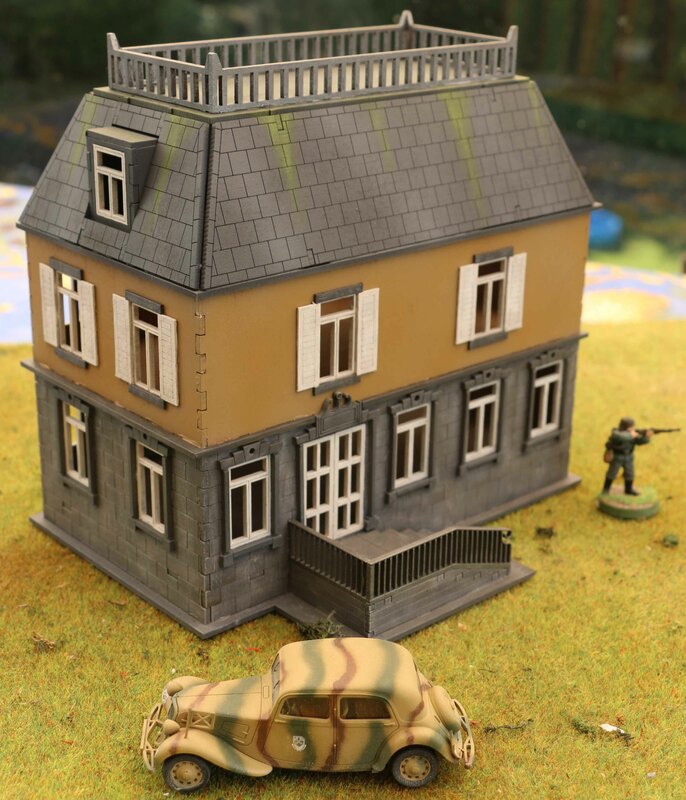 Now looking at the markings, you will find, that these are not for 3rd (British) Infantry Division like all my infantry and carriers, but for the Guards Armoured Division. Now I had a bit of a problem finding out if 3rd Infantry Division actually had these or not. What I found seemed to indicate their use as ambulances or for HQ´s but I remained constantly unsure if they were used as a troop carrier. 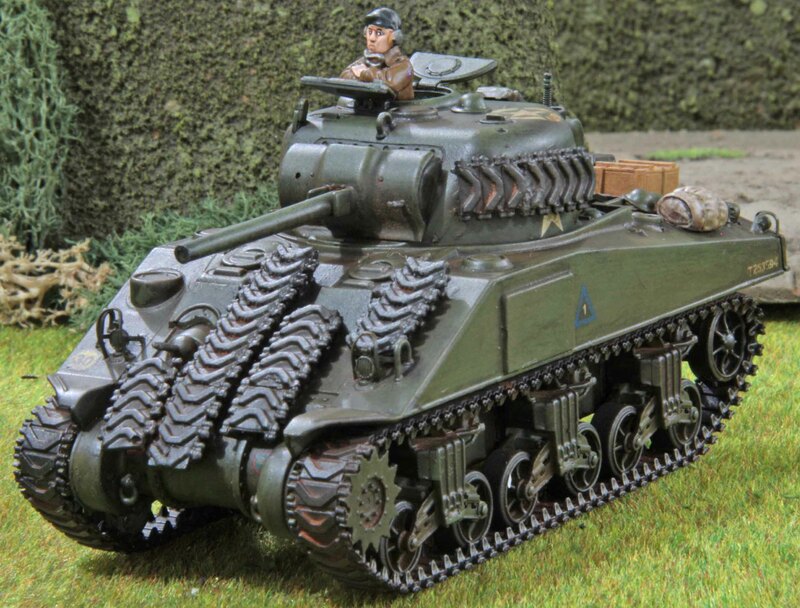 On the other hand, they were used as such with the Armoured Divisions so this seemed like a natural choice. Why the Guards? 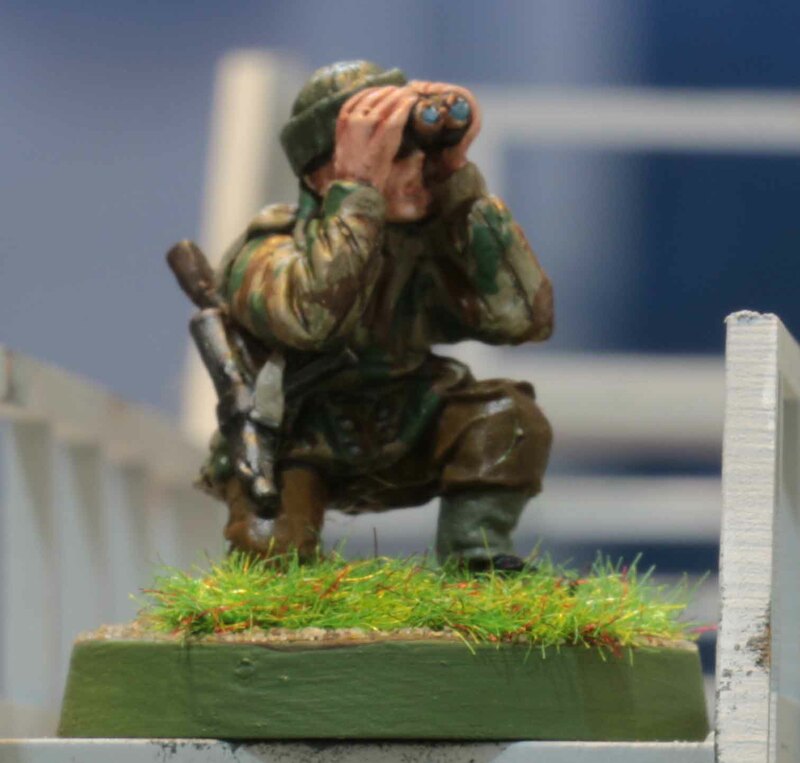 Well as you know I am modeling my infantry on the South Lancs from 3rd Infantry Division. 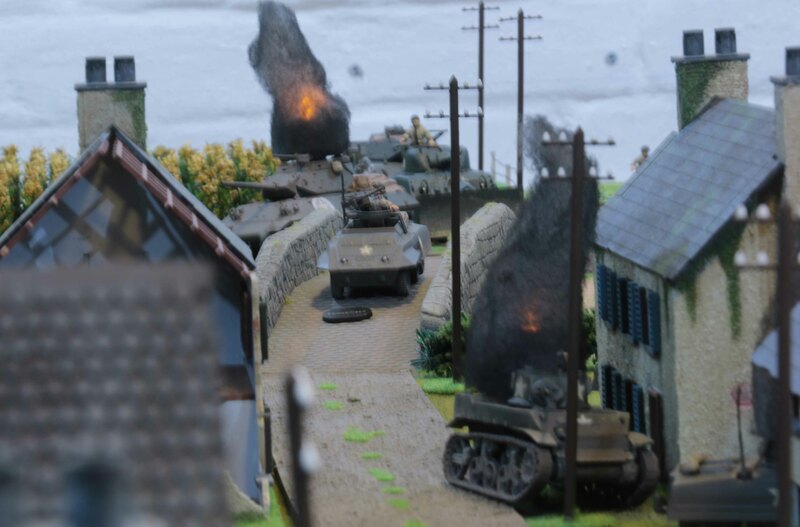 Now on D-Day and in Normandy they were supported by the 27th Armoured Brigade. Unfortunately the 27th were disbanded late summer 1944 and distributed to other units so I would not get much milage from them. 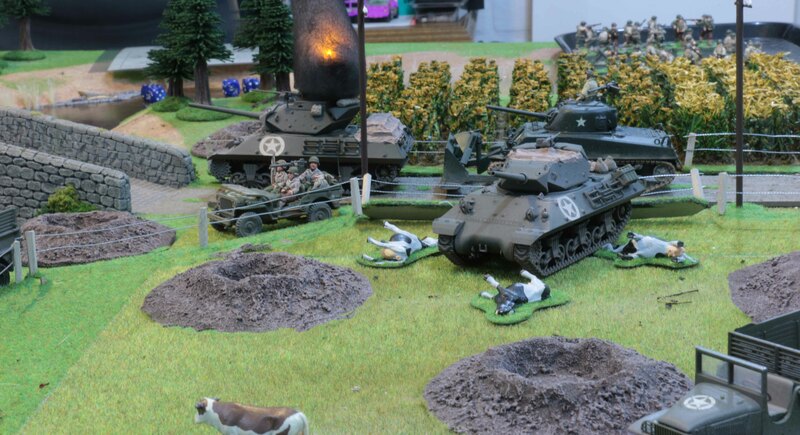 And they were using a lot of DD Shermans, but no Fireflys so they would not have fit my needs anyway. 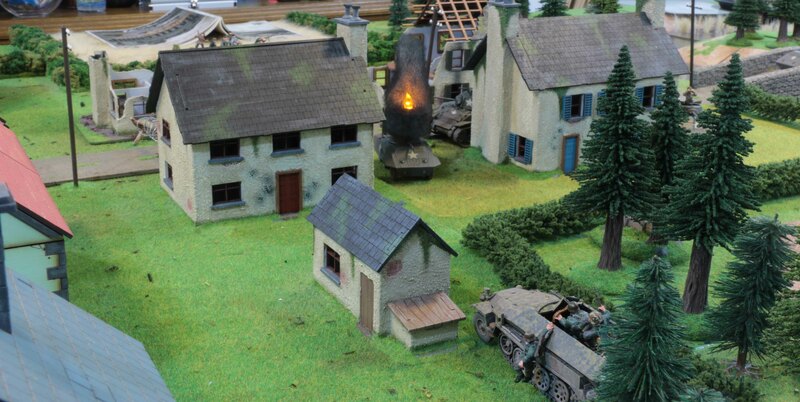 So I chose the Irish Guards for my tank formations. 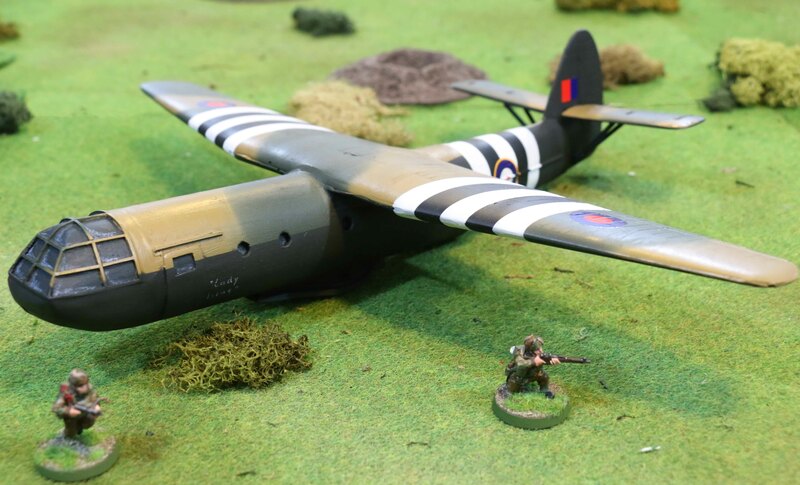 In that sense, I painted the halftracks to fit. 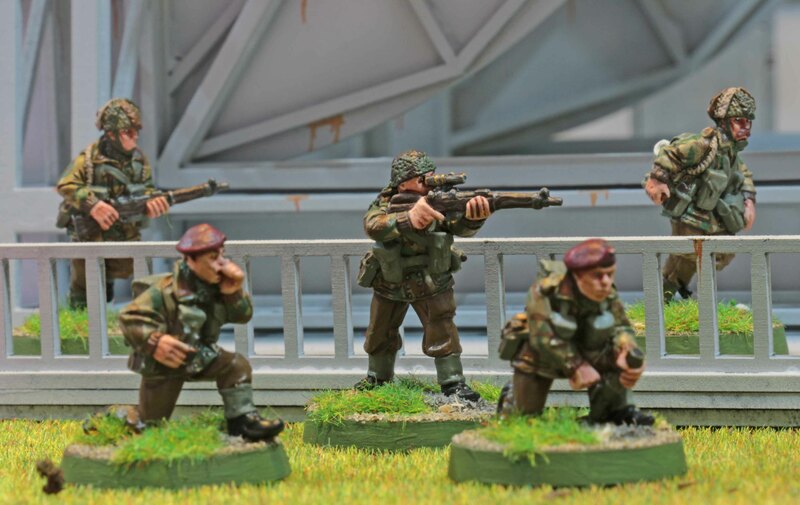 Now the passengers are by Victory Force Miniatures. I only bought enough for one carrier, since these were designed to it into a Corgi halftrack and I wanted to make sure they would fit this on first. 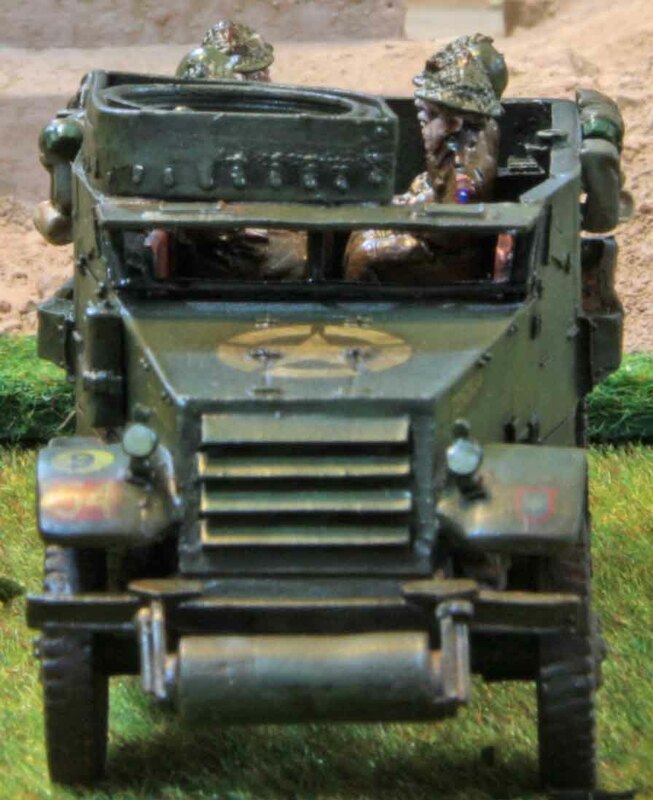 Since they do fit like a charm, I will have to get myself two more sets of passengers from them in due time, as well as drivers and a passenger for the gunners position. While we are talking about the gunners position. 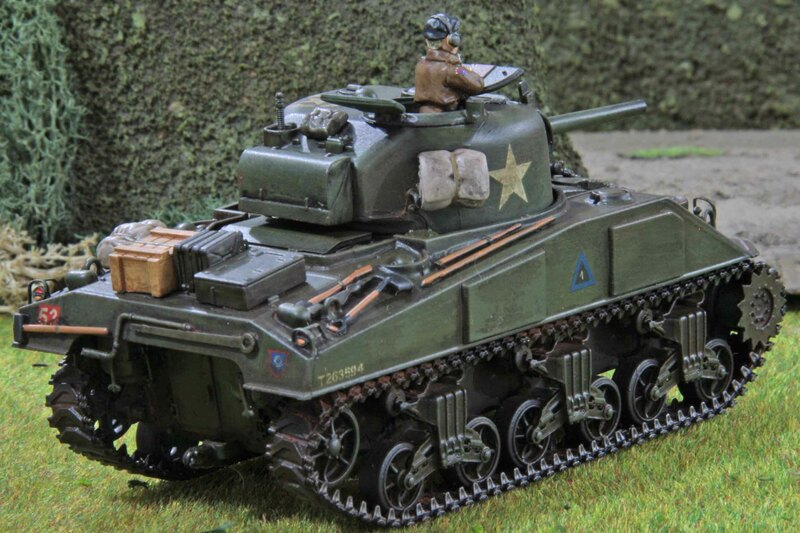 The M5 was supplied to the British with a full complement of .50cal and .30cal machine guns. Most British formations chose to remove these and did not use them. I chose to do the same here, so these are unarmed.